and we are very glad that – thanks to our mutual commitment - 2016 turned out to be a very positive year, in the end. and some of them have turned into firm orders, shortly after the end of the show. Our new division „BaumannPacking“ has also shown a very positive development in 2016. All things considered, the overall result of 2016 is more than positive, despite all the difficulties, we all had to face. Thank you very much for your outstanding commitment during the past 12 months. We wish you and your family a peaceful Christmas, a few days to relax and a good start into a healthy, happy and successful new year 2017. 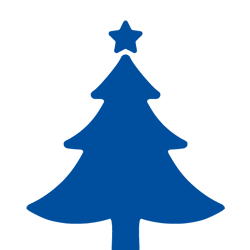 As a very eventful DRUPA-year is coming to a close, we would like to wish you and your family a peaceful holiday season and a good start into a healthy, happy and successful New Year 2017. We won't leave you in the lurch! For the period between Christmas and New Year, we will establish an "emergency service". You can reach us at: +49 (0)6442 - 9283-91 or via email: service@baumann-mbs.de during the following times. In February 2017, the first form, fill and seal machine AGILIS will be delivered and installed. It is going to be installed at the factory of a Philippine producer of baking mixtures. The machine will process bags of 250 g pan-cake-mix (being able to process bags of up to 2.000g, if required). Several other AGILIS machineries could be sold in 2016, some of them to well-known German food manufacturers (we will tell you more about this subject at a later time). Thanks to this very positive development, baumannpacking is also expanding its workforce – two mechanics and service technicians have just completed the baumannpacking-team. Only recently, the AGILIS machines have been complemented by a new fill-and-seal-machine, PICDIS. These machines will be used to fill and seal exisiting bags. Empty bags are taken out of a „depot“, are opened, filled and sealed by the PICDIS. A very broad range of applications can be covered with these packing systems. All PICDIS machines are based on the modules of the AGILIS. We are thus able to carry out projects with highest hygienic demands. One manufacturer of grated cheese has already been convinced by our new PICDIS-concept. (More information will follow). During DRUPA 2016, the new 4-cut-system DELTA met with great interest. Numerous visitors came to the BaumannWohlenberg booth in order to see the new system "live and in action". There is no doubt: Our idea, to offer a cutting system, which is able to combine high flexibility with high productivity struck a nerve. NOW, we only need to put the power on the pavement. The 4-cut-system DELTA has been especially designed fort he processing of medium cutting volumes. The system offers high productivity in combination with perfect ergonomics. All main components can be used wither automatically or manually. The cutting line consists of a jogger BSB 3 L professional, a high-speed cutter WOHLENBERG 132 with automatic waste disposal as well as a BAUMANN unloader BA 3 N. Another novelty is the automatic front-table feeding of the cutter, which relieves the operator’s physical strain considerably as the layer transport is carried out automatically. The high-speed cutter is equipped with an automatic cutting system with lateral alignment pusher and sheet-stabilizer. Baumanns’ managing director, Volkmar Assmann, explains that „Thanks to the innovative sheet stabilization, it is possible to cut the material automatically without any quality loss“. The system is an “all-purpose-system” as all main components can be used either automatically or manually. It combines automatic and manual functions. An output increase of up to 50 %, compared to a conventional cutting-line, is possible. Furthermore, the operator’s physical strain is reduced thanks to the automatic layer transport. It is possible to integrate a Baumann pressing station into the cutting system DELTA. The pressing station will be installed between the automatic jogger and the high-speed cutter. It removes the remaining air from between the sheets and thus contributes to increasing the cutting-accuracy. In combination with our cutting system DELTA, even “difficult” materials can thus be cut without having to use the bar of the high-speed cutter as “pre-press-device”. Cutting with right-lay is also possible (with certain reservations). Cutting with right-lay is also possible (with certain reservations). You can also find more information on our Product page. Currently, we are working on our standard cutting system BETA, which we plan to offer also as an "ergoline"version in future. It is our aim to increase the ergonomics of the system in order to make the operation easier, while accelerating the handling of the reams at the same time. The side-table between automatic jogger and high-speed cutter is thus free during the cutting process and the operator can use it to store partial reams or blocks, waiting to be cut. The subsequent jogged ream will only be transferred onto the side-table, if this table is no longer needed as “storage space”. Additionally, the operator does no longer have to wait for the jogging process to finish; he can already start the cutting process during the jogging operation. On the unloading-side of the system, there will also be some interesting novelties: The unloader BA is positioned in such a way that the operator will only have to cover the shortest possible distance between the high-speed cutter and the unloader. The operator can then transfer the cut reams with a simple turning movement onto the unloading-table. To achieve this, the left side-table is very short and is positioned directly next to the cutter’s front table. Two new safety light barriers will be installed at the unloader to ensure a save and accident free operation. The moment, when the unloading-cycle starts can be determined by the operator within the cutting program (again, with only two clicks). You will receive more information about the ERGOLINE with our next Baumann info (beginning of 2017). In November, we held two trainings (one in Germand and one in English language) for mechanics and service-technicians here at our BaumannWohlenberg cutting centre in Solms. The main topics were the installation, maintenance and trouble-shooting at Wohlenberg high-speed cutters and Baumann peripheric equipment. Of course, there was also time to exchange practical experiences, face-to-face with colleagues from other regions in Germany or throughout Europe. Especially in our fast paced times, it is very important to keep up-to-date and to keep informed about new developments and trends. We are very glad that we were able to welcome so many technicians here in Solms. Next to the novelties, there was also time to repeat and deepen the individual knowledge regarding the service of BaumannWohlenberg machinery. In 2017, we will offer also offer trainings for mechanics and service technicians. You will be informed about the scheduled dates either via our Baumann-Info or via e-mail from our service department. 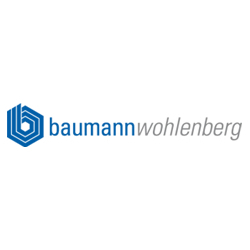 An error had crept into our English BaumannWohlenberg price list. On page 23 of your current price list, on price sheet BSW-AUP the prices for the three pile turners BSW AUP without logistics (art. n° 7330001 / 7330004 / 7330007) were not correct. These prices have been corrected. Attached, please find the revised price-sheet. We kindly ask to replace the existing page 23 of your BaumannWohlenberg price list by this new sheet.